When a society turns its back on their Creator or forgets Him; when they choose to live for themselves and for worthless idols, and when they no longer see a need for biblical morality, destruction is an obvious result. If you profess to be a Christian and claim to support life, your actions should match your words. Have you spoken up? Every year, over 1.2 million abortions take place in the United States. A sixth video exposing Planned Parenthood has just been released. The video shows how the abortion business sells body parts of aborted babies without patient consent. The fact Planned Parenthood has been caught literally red handed shouldn’t surprise us. Abortion has been the law of the land for decades – and now some folks are upset baby body parts are being harvested and sold? If you’re suddenly disgusted by this, where have you been for the last several decades? When Hitler killed Jews, he got their possessions, their paintings, their houses, their cars, their bank accounts, the gold out of their teeth and the hair from their head. Killing Jews wasn’t just about Darwin’s “survival of the fittest.” It was about making money to finance his cause. Why has it taken conservative investigative journalists to go undercover and present audio and video proof of how low America continues to stoop? Regardless of the fact the pro-abortion media refuses to report the whole truth, we already knew what abortion mills were doing. Sadly, many of us chose to look the other way as we contribute to the slaughter by electing men who do not fear God. God’s Word and His law trumps man’s word and man’s law – every time, in every possible situation. Scripture holds abortion to be sin and in America, it used to be illegal. But how did we “progress” from Roe vs Wade to convicted murderer, Kermit Gosnell, to Planned Parenthood destroying fetuses and selling baby parts? Margaret Sanger would be proud. It took less than fifty years. In a chapter in my book, The Cost of Our Silence, I discuss the fascinating case transcript for Roe vs Wade and some of the arguments presented. The ACLU (American Civil Liberties Union) represented plaintiff, Jane Roe (Norma McCorvey), to secure the legal right to kill babies throughout the USA – abortion on demand. They pushed her to get a signature on the affidavit, and since she was struggling with alcohol, drugs, and depression at the time, she was exactly what the ACLU wanted. A confused, vulnerable, pregnant woman in dire circumstances was exploited in order to sell the option for women to be allowed to “choose” to kill their babies rather than give birth if they thought their circumstances were not optimal. The lesser-known story is Norma gave her life to the Lord in 1995 and admitted she was used and “persuaded by feminist attorneys to lie; to say I was raped and needed an abortion. It was all a lie.” Her book, Won by Love, as well as pro-life efforts have made a difference in recent years as more truth has been exposed. Just four states had legalized abortion in 1973, while forty-six states restricted abortion, but the Supreme Court decided to enforce an unwanted law on the entire country. The ruling continues to eliminate precious lives as it divides American families, the church, and political parties today. A pregnancy to a woman is perhaps one of the most determinative aspects of her life. It disrupts her body. It disrupts her education. It disrupts her employment. And it often disrupts her entire family life. 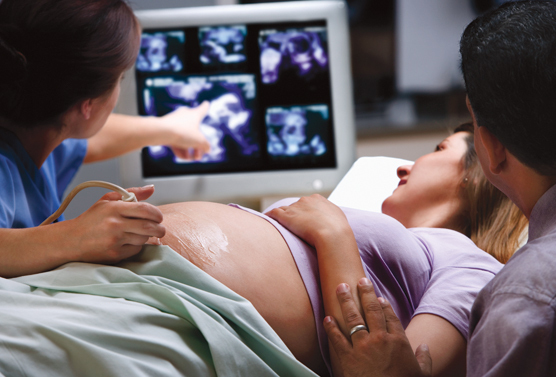 Today, doctors give babies in the womb pain medication during surgical procedures. Why? They feel pain, period. Keep in mind back in 1973 they did not have ultrasound, sonograms, and other technology. Regardless, person-hood of the fetus has been clearly established. In this case, it has never been established that the fetus is a person, or that it’s entitled to the Fourteenth Amendment rights, or the protection of the Constitution. Well, if – if it were established that an unborn fetus is a person, with the protection of the Fourteenth Amendment, you would have almost an impossible case here, would you not? So much has changed since 1973 including medical advances and technology, but the Supreme Court’s decision remains untouched. Abortion is a selfish, violent way to destroy an unwanted life. Planned Parenthood should be outlawed, not just defunded. Americans continue tolerating this barbaric practice, and yet, the problem goes beyond big abortion business. We must get back to the biblical values of modesty, purity, and respect among adults and children alike. We must also promote abstinence education to counteract our sexually charged culture. By our silence, we have allowed sexual exploration and experimentation to be encouraged while condoms are handed out at public schools. We also must encourage self-restraint instead of perversion and promiscuity. Finally, will we care for “the least of these” and open our hearts again to value all human life? Please help raise awareness by sharing the truth! Every single life matters – from the womb to the tomb. It’s not a catchy slogan, it’s God’s Word on each precious life created in His image.